At Pristine PR we believe the foundation of a successful public relations campaign begins with strong media contacts and a targeted approach. Not all press is created equally. At Pristine PR we secure media placements with a purpose, with the goal of increasing our clients’ bottom line and branding their image. We have implemented a number of successful public relations campaigns for a variety of attorneys and law firms throughout the State of Florida that practice consumer class action law, commercial litigation, mass torts, medical malpractice, real estate law, personal injury, bankruptcy and foreclosure defense. Our clients are regularly featured as expert legal sources, often commenting on trends and trials in the news. 1. A targeted media list – At Pristine PR we have spent considerable time and effort developing our extensive media list, which is compiled of top editorial contacts nationwide. We are constantly adding to this list, monitoring changes in the media outlets’ editorial staff and updating it accordingly. The strong relationships we have built with Producers, Editors and reporters throughout the years is one of the reasons our clients are featured in the news on a regular basis. 2. A powerful press kit – The press kits we create for our clients convey strong messaging and further enhance the client’s brand in the minds of journalists and the public. These press kits are not only used in our media outreach, but also at events, community sponsorships and seminars. 3. Generate captivating story ideas – At Pristine PR, we work with you to develop specific story angles related to your practice. This can include successful verdicts and settlements, new laws, industry trends, or any unique aspect of your practice. Our team works with you to strategically tailor your message to the press to be both creative and effective. 4. A press release with a purpose – At Pristine PR our press releases get picked up by top media outlets nationwide. This is in part due to the carefully crafted press releases we put together that are designed to capture the media’s attention. Whether you need to generate media awareness to showcase your accomplishments, or connect with potential clients or your base of referral attorneys, our team of experienced writers work with you to tailor your message. We bring to the table solid legal writing experience and a passion for the law. 5. Follow up, Follow up, Follow up – This is often the make or break to your news getting the coverage it deserves. Newsrooms are bombarded with story pitches and press releases on a daily basis. Many of these end up on the cutting room floor due to lack of follow up. 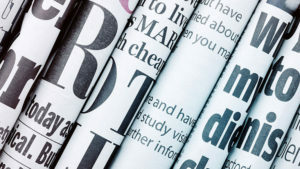 At Pristine PR we make it our mission to push your firm’s news to the front of the newsroom and place your press release directly in the hands of the right Producers and Editors at these targeted media outlets.